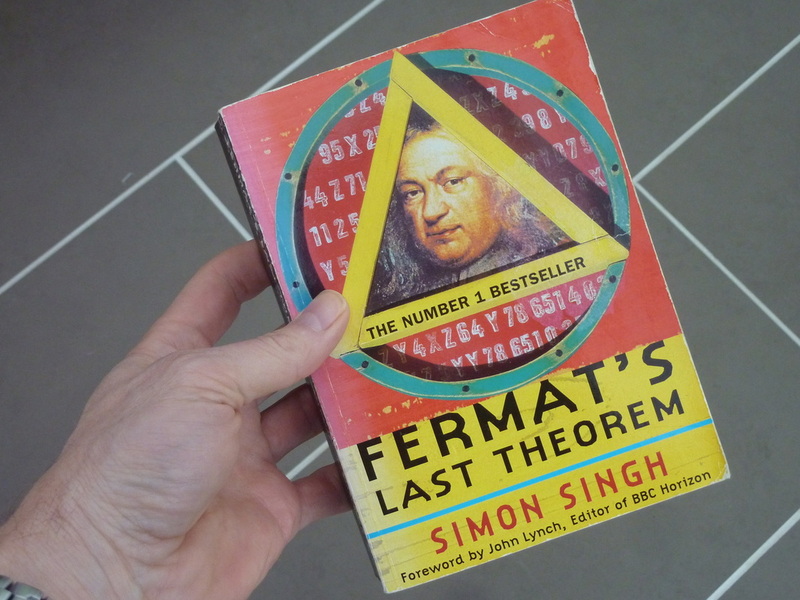 If you enjoy mathematics, in even a small way, then this book is a must-read. 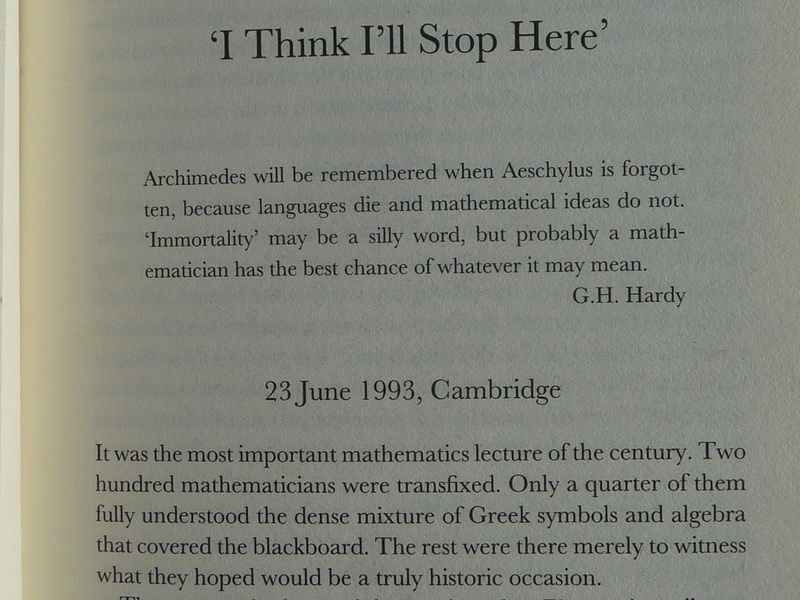 Personally, I'm not even that fond of mathematics, but the book is totally riveting and clearly explains the concepts without any prior knowledge or background. So for example, if 'n' was '2', we know that there is a whole number solution. 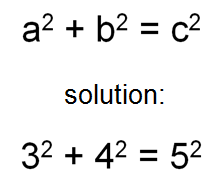 But for every other combination of numbers you can think of, if 'n' is greater than 2, there would be no solutions. Not one. At least, that's what the mathematician 'Pierre de Fermat' said sometime in 17th century. And how the hell do you PROVE that is the case? Surely it is impossible?! Well the way in which mathemticians go about 'proving' things, is to come up with something that they call (aptly) a 'proof'. Well I can see that this is true for a triangle I have in my old text book. But how can you prove it is true for EVERY triangle in the entire universe? Regardless of dimensions and angles? The first section of the book talks about these 'proofs'. Reiterating that a proof is a description which 'proves' that a theorem is correct and irresolute. Using the example of Pythagoras, he too had to come up with a proof. Otherwise it would just be a conjecture; an idea. To do this, Pythagoras could (perhaps) just draw hundreds of different triangles and test each one out to make sure it fits his theory. But where would you stop? There would always be another triangle to draw, another one to test. So obviously, trying out permutations is not the answer. These proofs can be very, very complicated. they form the rules which prove that the theorem applies in all cases. This forms the fascinating beginning of the book and it just draws you into the rest of the story. So it came down to an English mathematician called Andrew Wiles from Oxford to finally solve this riddle. Incredibly, he spent nearly 7 years of his life (in solitude) trying to find a proof to this one unbelievably complex problem. I am in total awe of his intellect, courage, persistance and determination. Really quite remarkable. He is now a Knight Commander of the British Empire. (Well deserved!) I wonder if really does like long division? - Of course he does! 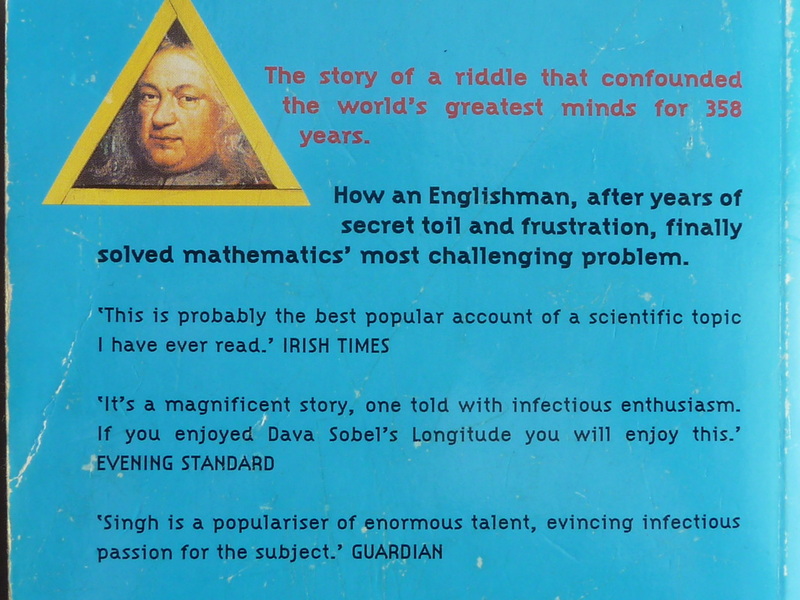 The author, Simon Singh does a very good job of 'popularising' this subject and communicating to the layman some of the key principals of mathematics.